GIANT CLOWNFISH PAYS CHRISTMAS VISIT TO CLAIRE HOUSE! 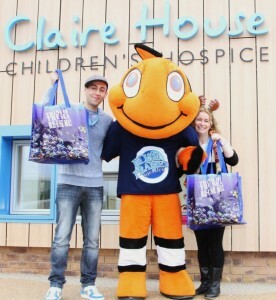 Charlie the Clownfish took time out from entertaining visitors at Blue Planet Aquarium in Cheshire Oaks to deliver some Christmas presents at Claire House Children’s Hospice on the Wirral. The giant cuddly costume character handed out bags of fishy-themed goodies and soft toys to the children. In return the youngsters gave Charlie an extra special Christmas card signed by them all and festooned with fish with Santa hats on. 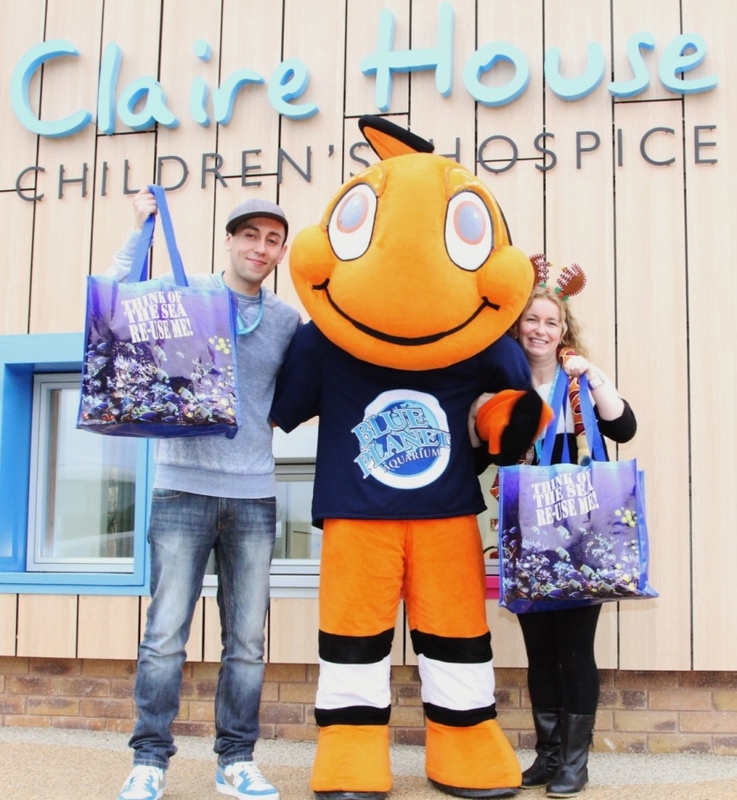 Earlier this year the aquarium officially adopted Claire House as its charity partner. As part of the link up, the hospice has monthly visits to the aquarium and Charlie the Clownfish also makes regular trips to the hospice to meet the children. Blue Planet Aquarium’s Phil Jones, who accompanied Charlie, said: “It was a fantastic day out for all of us and Charlie definitely had a great time and got lots of hugs. “None of us were expecting to receive a Christmas card from the youngsters and it is definitely taking pride of place back at the aquarium,” he added. Claire House provides care, support and choice to families whose children won’t live to be adults. The hospice currently cares for over 190 families from Cheshire, Merseyside and beyond, helping families create memories that will last a lifetime.